Remote Host service is not the wave of the future anymore, it's here, it works, and it's for you. 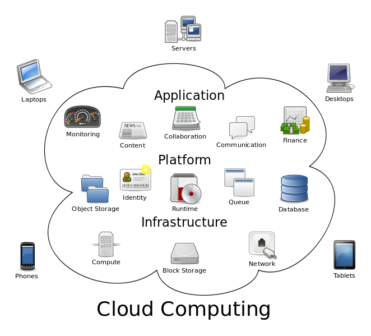 We provide Cloud Services and Cloud Hosting for a wide variety of application and storage needs. Cloud hosting offers many advantages including security, reliability, and speed. If your data is important then you should at least examine our cloud hosting and remote hosting services. Cloud Hosting, Remote Host, Cloud Services, these aren't just fancy words. It's security. It's reliability. It's my data, it's my business. Cloud Hosting, the Cloud, Remote Host services, Cloud Services. It’s more than just a bunch of buzzwords. It means that your data is stored on a distributed network on multiple servers so that if anything happens to one server your data is safe. The server goes down, no problem. We’ve got ten more. Reliability is one of the key benefits of using Cloud Hosting, Remote Host, Cloud services. The idea is that your business critical data is stored on multiple servers in multiple locations. It’s always available. Disaster? No problem. Multiple servers, multiple locations. If you’ve ever experienced a server outage you know why you need Cloud Hosting. It’s that simple. The reliability that Cloud Services provide your company is the reliability that you need to conduct business. When your vital information is stored locally it can be vulnerable to attack. Our network techs keep our Cloud Hosting network up-to-date with the best security tools. It’s not always easy for your local IT team to keep security at peak efficiency when they’ve got so many other tasks. Security isn’t becoming less of an issue, it’s becoming more of an issue. Cloud Hosting offers high-level security for your data. Probably the biggest benefit of Cloud Hosting, Remote Host, or Cloud Services is that your data is stored on multiple servers in different locations. This is called colocation. It means if anything happens to one server somewhere that another server immediately picks up the slack. That’s huge. In New Orleans the backup server was in the same building as the main server. Not good. We’ve seen disaster here at Acumen. Burst water pipes, fires, power outages. It happens. With Cloud Hosting on colocation servers it won’t impact your business. You won’t even know a server went down. You owe it to yourself to look into Remote Host Cloud Servers. Cloud Hosting is a vital part of your business operations. It can be intimidating. Call us today and we’ll explain the process and how it can help you. Find out more, find out now. We offer all types of Cloud Hosting services for your business. Our servers are colocation, always on, always safe. When it comes to your data and your business we care. We’ve adopted Cloud Hosting as a business model because it works. Our data is stored on colocation servers and yours should be also.